Redoing the floors in your home or office can be a hassle. But it doesn't have to be. When you work with Windy City Carpet Service, you'll be dealing with us, Mike and Marlene Veselka, directly to find the best options at the best possible prices for your flooring needs. Since we own the business it's our reputation and lively hood on the line every time we sell a floor. We're proud of our 30 year track record of providing a wide variety of flooring from the best manufacturers to home and business owners throughout the Chicagoland area. So whether it's wall to wall or area carpets, ceramic or vinyl, hardwood or laminates, we can help you find the flooring option that suits you best. 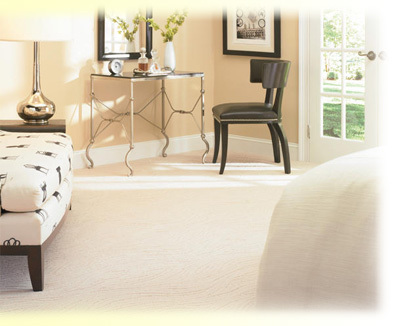 Since 1979, Windy City Carpet has been proud to sell and install American made flooring products and in doing so we have become the carpet store of choice for shoppers who demand extraordinary service and quality at a fair price. Take a look around the site at our offerings and give us a call with any questions. We look forward to helping you find the floor that's right for you needs. © 2009-16 Windy City Carpet Services Inc.